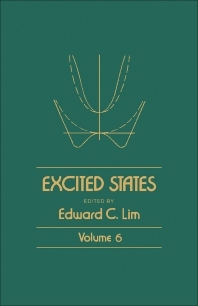 Excited States, Volume 6 is a collection of papers that discusses the excited states of molecules. The first paper discusses the linear polyene electronic structure and potential surfaces, considering both the theoretical and experimental approaches in such electronic states. This paper also reviews the theory of electronic structure and cites some experimental techniques on polyene excitations, polyene spectroscopic phenomenology, and those involving higher states of polyenes and their triplet states. Examples of these experimental studies of excited states involve the high-resolution one-photon absorption spectroscopy, two photon spectroscopy, electron-impact spectroscopy, radiationless decay rates, and radiative fluorescence lifetimes. Some unresolved issues remain such as the resolution of the excited-state order in butadiene and the two isomers of hexatriene. The second paper describes the energetics and scattering of mixed exciton-photon states in organic crystals that should form part of future research in the field of organic solids. This paper also describes mixed exciton-photon states, exciton-phonon, and polariton-phonon scattering. This book will prove invaluable for researchers and scientists working in the field of micro-chemistry and solid-state physics.